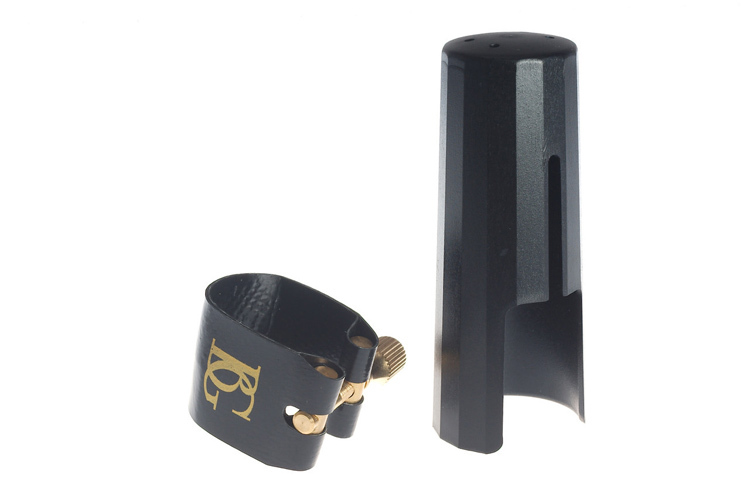 This is a new 'Rovner style' ligature from BG, in that it is a flexible synthetic material with one screw that sits on the back of the mouthpiece. Similar to the Rovner in feel and indeed sound it also comes with a plastic cap. Will fit most standard sized plastic and ebonite Alto sax mouthpieces.